I like versatility. I love it when my gear can transition between many tasks and suit each one with ease. In fact, as a guide, I NEED my gear to be able to fill multiple roles. 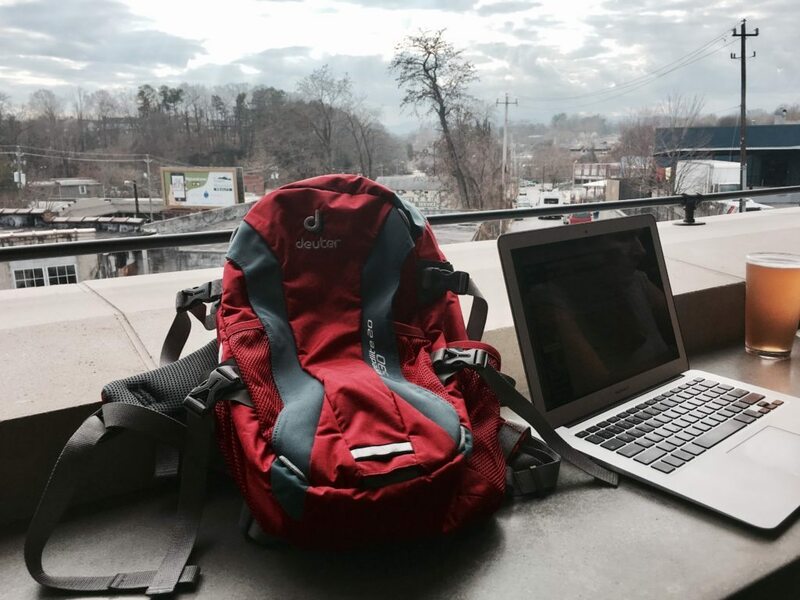 This single best piece of gear I have that fits this bill is the Deuter Speedlite 20. 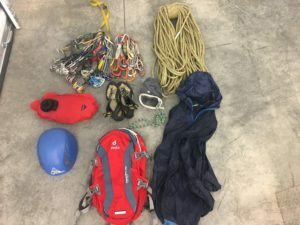 To iIlustrate just how versatile it is, consider how it performed as I got ready for a climbing trip to Las Vegas recently. 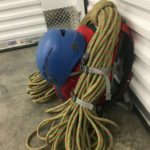 Saturday – Sunday: I spend my weekends guiding guests who have waited all week to get out into the mountains and enjoy a carefree day of rock climbing in Western North Carolina. Often this is a multi-pitch, day and I’m meeting my guests in the Linville Gorge. Our objective is Table Rock on Saturday and the remote Amphitheater on Sunday. I put my harness on with my “Guide’s Rack” on my waist. In my Speedlite, I have climbing shoes and a chalk bag, first aid kit, 2L water bladder, single rack of protection, and an extra layer or two. Inside the small, quick access pocket, I put in my lunch, snacks and headlamp. On the outside, using the compression straps, I secure my helmet neatly on the outside. This pack goes from a full 20+L and compresses to less than 10 once the rack is on and we are moving over rock terrain! 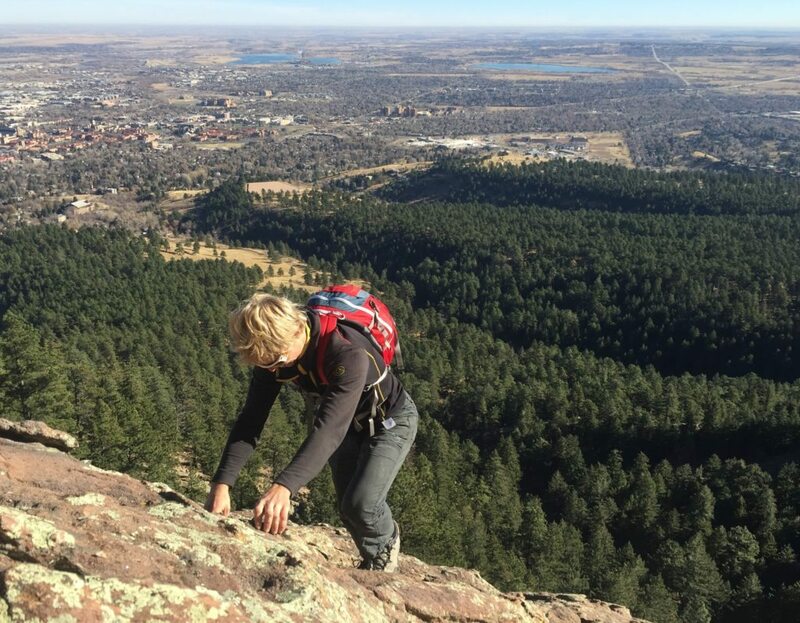 It is very comfortable no matter the load and stays secure and ergonomic when climbing. I sometimes even forget I have it on! Tuesday: I head to the climbing gym to hang out with fellow guides and climbers and get a good workout in before my trip to Las Vegas. In my Speedlite, I carry a short gym rope, harness, shoes, chalk bag, belay device and water. It is sometimes nice to load it up with weights or water to help me train! This can really beat up a bag, but I have yet to tear any holes in it with the rough cargo. Wednesday: Heading to a coffee shop downtown to relax, reflect, and write is a day we don’t typically associate with fancy backpacks, but I indeed use my Speedlite as my computer and town bag. Its size is perfect for my laptop, and it’s nice to stroll around Asheville with all of my office things with me. I will always have my thermos with me in one of the side pockets carrying that great dark roast from down the street. Thursday: It’s winter here in the mountains and that means it’s time for some winter sports. Lately I have been honing my ski abilities at some of the local resorts. It isn’t exactly backcountry, but it is nice to carry extra things with me on the mountain so I don’t have to go back and forth from the lodge every time I want something. When I need to, this pack’s burly construction even allows me to carry my skies for short ski mountaineering jaunts. The pack definitely handles my falls better than I do at times! Friday: Time to pack! Planes can sometimes be a nightmare for climbers as we love to try to cram what we can into carry-ons so as not to pay that checked bag fee. The Speedlite works great as a carry-on and I can fit pretty much everything from a guiding day in it and put most everything else I need for a couple of days into my second carry-on. The Speedlite’s compact size fits perfectly under the seat. When I arrive, I get everything to my hotel or campsite and head to the grocery store for some supplies and use my Speedlite as a reusable bag! Fits three days worth of food for two people very well! Saturday: Time to climb! The goal is Epinephrine, a 600+M route in Black Velvet Canyon with several, pack-shredding chimney pitches. A route like this requires light packing, and I again load up my Speedlite with the essentials the night before and pack it in to the base. As the day gets warmer and we go in and out of the sun, the pack gets larger and smaller as items go in and out. Again, I sometimes forget I am wearing it! That is, until we reach the chimney pitches. With the pack dangling from my harness’s belay loop, I make my way up the chimney as the Speedlite scrapes and bangs into the rock. I tuck away as many of the buckles and zippers as I can and make sure the pack is compressed. By the time we are beyond the chimney pitches, the pack is no worse for the wear, spare a couple of dirty spots and we are halfway to the summit! Once on top, my body is prepping for the long descent back to the car, so everything comes off and goes back into the pack. With the ergonomic back design, even when full, my sore back barely notices the added bulk as we drag ourselves back to the car, fulfilled from another great adventure, and we prepare to do the week over again the next day, this time in Sin City!